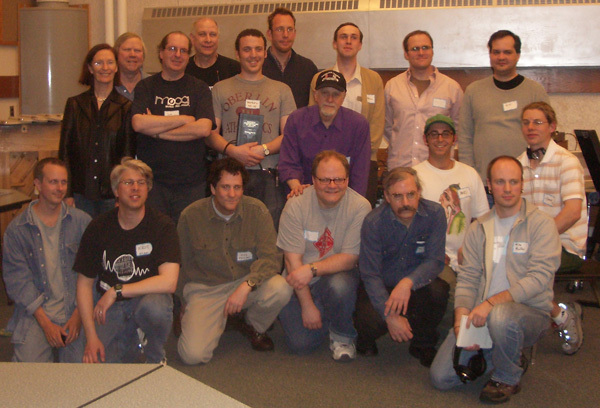 The 2005 group, left to right: Front row: Matthew Davidson, Eric Crawley, Greg Waltzer, Kyle Jarger, Bob Chidlaw and Mike Pfeiffer. 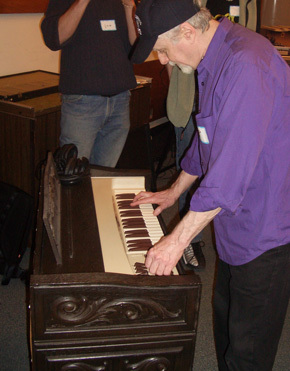 Center, left to right: David White (center of photo, leaning forward), James Amore and Steve Marietta. 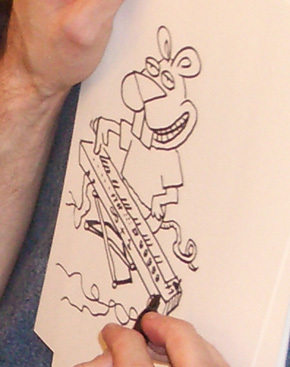 Rear standing, left to right: Sarah Terrey, John Terrey, Seth Elgart, Howard Moscovitc, Rafael Cohen, Joe Xarraffino, Brendan Ford, Mike Dewberry and Mike Funaiole. 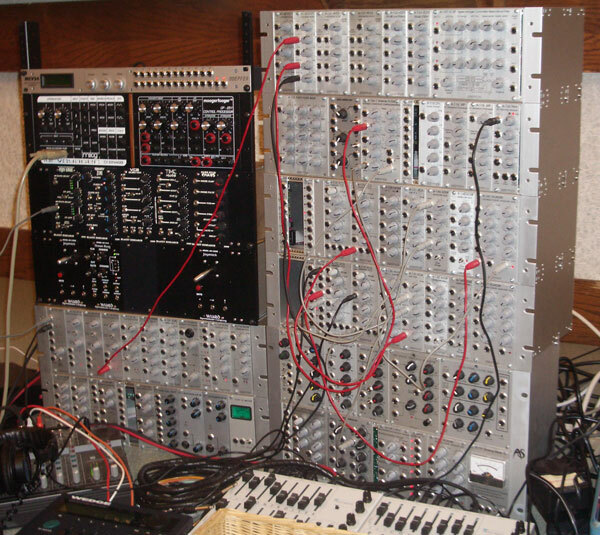 Eric Crawley's Roland System 700 modular. 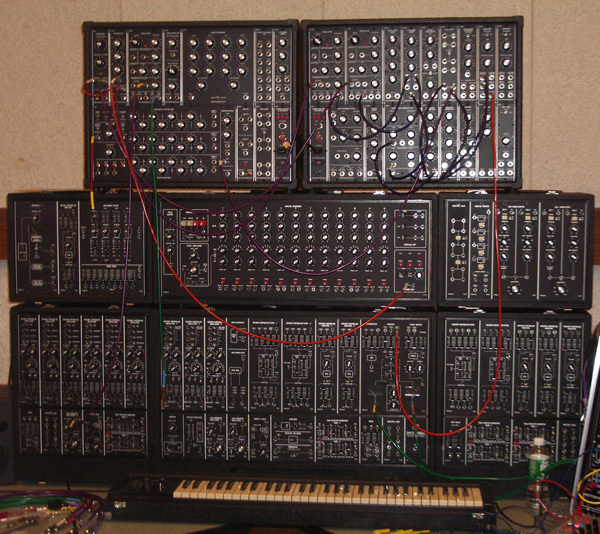 On top are two "Synthesizers.com" cabinets. 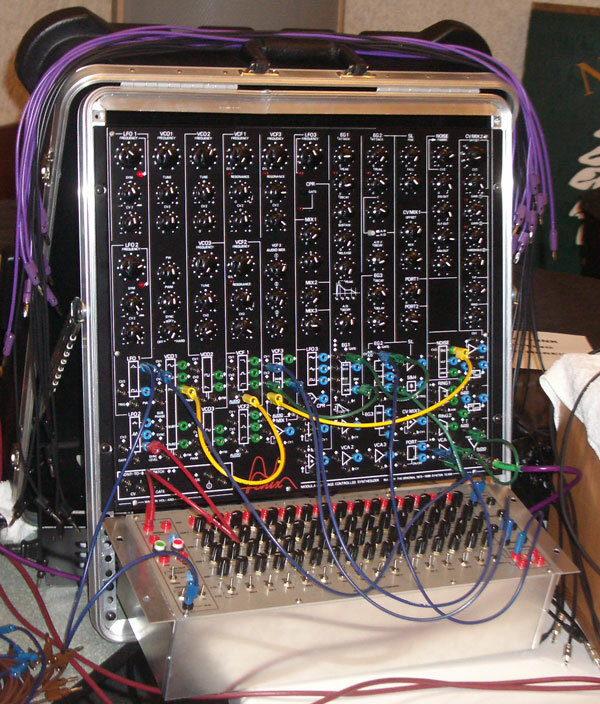 Eric Crawley's Fenix, a descendant of Synton's Syrinx and the 3000 modular system with a Milton sequencer below. 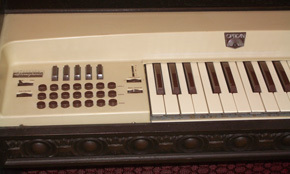 A Moog Music Minimoog Voyager. 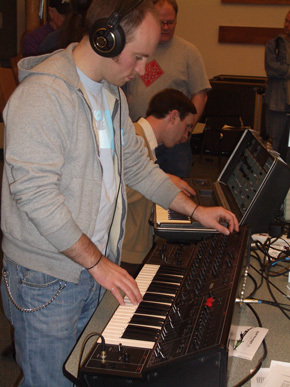 Left, Mike Pfeiffer plays David White's Yamaha CS-30. 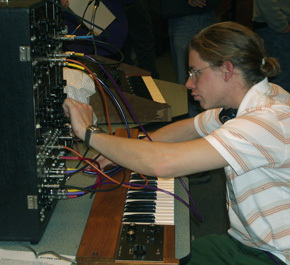 Right, Aron Kotilovnen plays David White's Univox MaxiKorg while Joe speaks into a vocoder in the background. 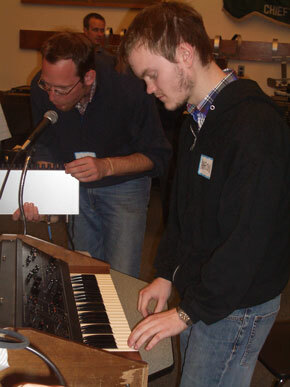 Left, Brenden Ford making sounds on David White's Moog Sonic Six. 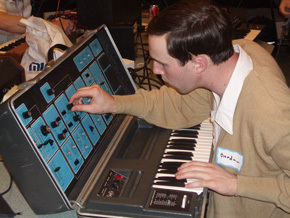 Right, Steve Maietta doing the same on David's Moog Modular 15. 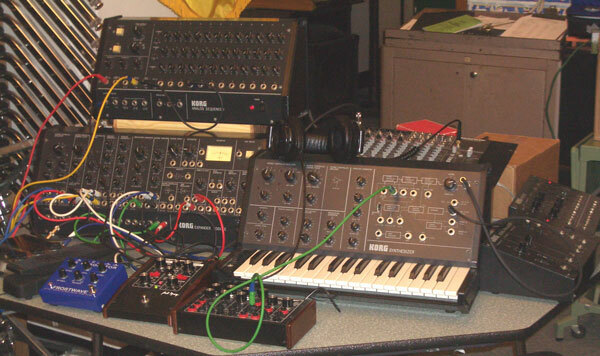 Mike Funaiole's Korg Collection: Sequencer (rear), MS-50 Expander (front left) and MS-10 synth (front right). 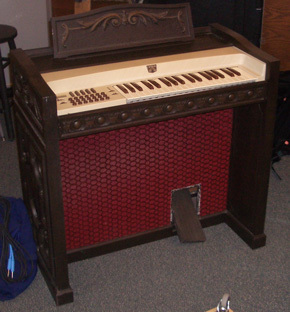 Below are photos of an unusual keyboard, the Optigan. 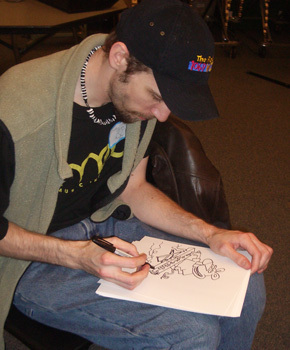 Copyright 2005 John V. Terrey. 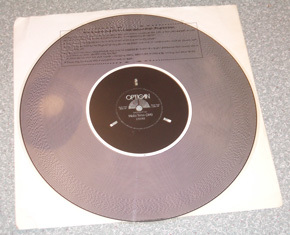 Unauthorized use of any of the contents is in violation of copyright law. Scanner: Agfa T-1200. Camera: Pentax 5i.